Background: The debate on access to new drugs has focused on the time lag between applications for approval and granting of marketing authorisation. This delay was identified as the first barrier with respect to patient access to new drugs, encompassing the hurdles of safety, efficacy and quality. Additional barriers have since been identified. These pertain to reimbursement and pricing of approved drugs, the so-called fourth and fifth hurdles. Methods: We reviewed 38 National Institute for Health and Clinical Excellence (NICE) guidance appraisals carried out between April 1999 and April 2005. These appraisals included 71 recently approved drugs considered to have either high clinical or cost impact. For each drug we first determined its marketing approval date by the British Medicines Healthcare Products Agency (MHRA) or European Medicines Evaluation Agency (EMEA). Secondly, we determined if each drug was approved by the US FDA for marketing and, if so, the date when it was approved. Thirdly, we considered whether and when each drug was recommended for reimbursement and use by NICE, and whether conditions of reimbursement applied. Fourthly, for the subset of FDA-approved drugs, we examined formulary placement, cost sharing and conditions of reimbursement on three-tier formularies used by seven leading US third-party payers serving Medicare beneficiaries. Fifthly, we reviewed each NICE recommendation to determine if cost-effectiveness data were referred to either in the appraisal documentation or in the final recommendation. Sixthly, we asked a spokesperson from each US payer whether cost-effectiveness assessments or rebates played a role in determining formulary placement of drugs in our sample, and whether there was a lag between marketing approval and reimbursement for any of the covered drugs. Results: Of the 71 drugs contained in 38 NICE guidance appraisals, the US FDA approved 64. On average, the subset of 64 drugs received marketing authorisation in the US prior to the UK. On average, US plans covered 87% of the 64 drugs, the same percentage of drugs recommended for NHS reimbursement and use. Cost sharing in the US was significantly higher than in the UK, with wider variation across plans. On average, drugs covered in the US had fewer conditions of reimbursement (15%) than the percentage of drugs given conditions by NICE (46%). US plans were quicker to decide to reimburse drugs following marketing approval than NICE. Conclusions: The US provides faster, more flexible access to most, but not all, of the UK-approved pharmaceuticals in our sample. However, US patients have higher cost sharing than the UK and coverage is less evenly spread across the population. From a policy perspective, our study findings confirm the need to bolster the NICE fast-track initiative to decrease the amount of time it takes to appraise certain new pharmaceuticals. 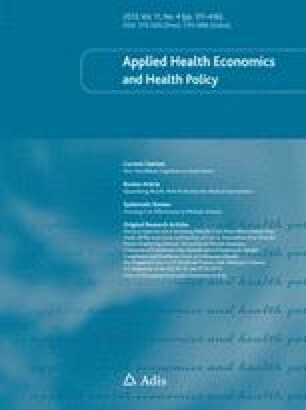 Also, the study findings point to the need in the US for careful monitoring of plan compliance with regulations pertaining to the Medicare drug benefit, particularly with respect to formulary restrictions and limits on cost sharing. We are grateful to Mark Goddard (Medicines and Healthcare Products Regulatory Agency) for providing us with UK marketing authorisation dates for all 71 drugs in our sample. No sources of funding were used to assist in the preparation of this study. The authors have no conflicts of interest that are directly relevant to the content of this study.